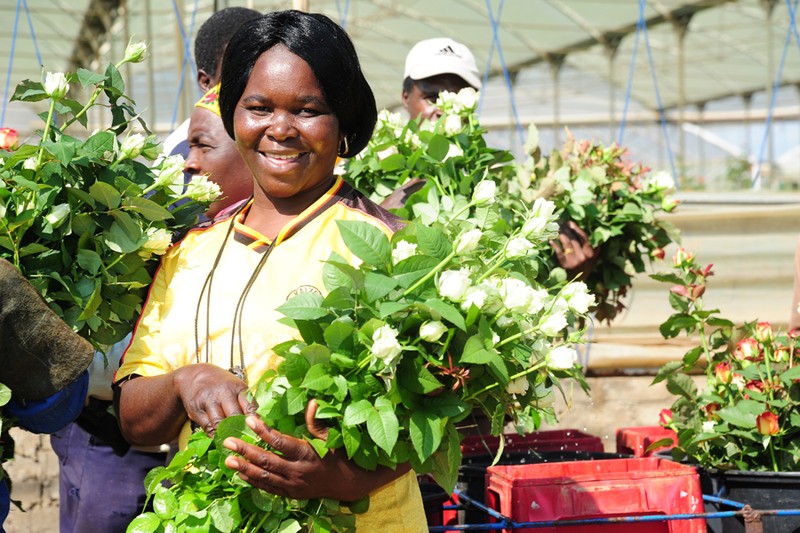 African Floralush (Pty) Ltd is a South African company commercializing a new process for the preservation of roses and foliage. The roses, being marketed under the name “Iluba”, lasts for six months without water. The process is based on a NMMU patent assigned to the company: it is a chemical preservation process and rose heads are dyed various colours during the process. Technical: Major technical challenges were faced on scale up, such as keeping rose heads in the preservation baths, ensuring the roses did not “bleed” after dying etc. In addition, it was found that the season plays a major role: stems need to be preserved differently in winter and summer and do not preserve in spring. Commercial: The market channels were unclear at first and various models were tested, such as direct sales, flower rental and distributors. Transport costs are prohibitive. Packaging was also a major challenge as flower arrangements get damaged in transport. The company currently employs over 60 people, many previously unskilled and unemployed. A local distributor network services the South African market and large orders have been shipped to Europe, Japan and Canada. The company is cash positive on a monthly basis. The company is currently setting up Iluba International to warehouse and distribute in Europe as it is costly to get small orders to Europe, and the delay in shipping is a problem for customers.